Need a relaxing beach vacay before pre-holiday stress sets in? 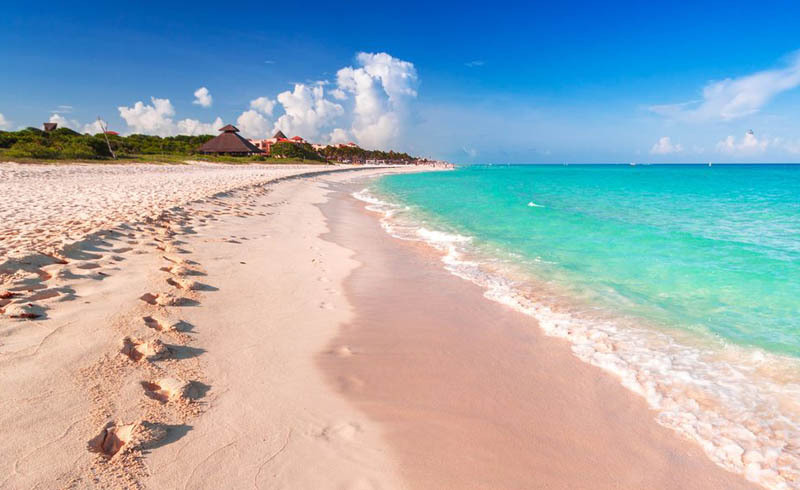 Seek out a long weekend in Playa del Carmen on the Yucatán Peninsula's Riviera Maya. November may be the tail end of hurricane season but with highs averaging in the mid-80s and (usually) little rainfall, it’s a great month to take advantage of nearly perfect beach weather without the peak season crowds (or prices). Hit the beach, dive/snorkel the Great Mayan Reef, drive less than an hour to discover remnants of the Mayan walled city of Tulum, or stay in town and visit one of the many shops, restaurants and laid-back bars. Just a few miles south of Playa is Xcaret, a popular eco-park showcasing the region’s culture and animals and marine life. It’s a must, especially for families. In a region jam-packed with resorts, the oceanfront, eco-friendly Hotel Xcaret Mexico—which opened late last year—certainly stands out. The architecture and design of the sprawling jungle complex (and its 900 guest rooms) is inspired by local traditions, art and culture. Built on top of a cenote, the hotel’s construction takes full advantage of its surroundings. Think: beaches, tunnels, caves, rope bridges, coves and rivers to kayak or paddleboard through. The Muluk Spa, which offers massages, facials and regionally-inspired packages (or journeys), is itself carved into the limestone…and you really haven’t lived until you’ve gotten an 80-minute massage in a cave. 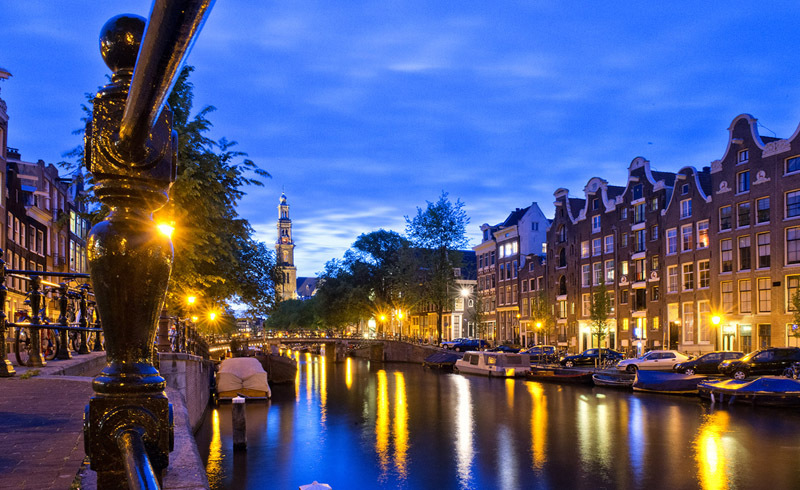 We honestly don’t think there’s a bad time to visit Amsterdam, but with cooler weather and cheaper flights (with roundtrips from the U.S. at as little as $319, according to Skyscanner) and hotel prices, fall has a lot to offer in Holland’s capital. High temps average near 50 degrees, so outdoor activities, like strolling through the city’s historic neighborhoods, cruising through the famed canal ring, or picnicking in Vondelpark, aren’t out of the question. Without the throngs of peak-season tourists, you’ll have an easier time seeing The Night Watch at the Rijksmuseum, visiting the Anne Frank House or shopping for crafts and souvenirs on the Kalverstraat. Early in the month, there’s the annual Museumnacht (Museum Night) Amsterdam, when the city’s 56 museums stay open till 2:00 a.m., letting visitors late-night museum-hop complete with live music, performances, specials tours and food and drinks. The Dutch kick off the holiday season in mid-November when Sinterklaas arrives by boat. This real-life Santa rides into town with a parade and the festivities last until early December. Canal House, a 23-room boutique hotel, is spread across what was once three 17th-century merchants’ houses in the heart of the Jordaan. With luxe rooms, canal views—it overlooks the Keizersgracht (or King’s Canal), one of Amsterdam’s grandest canals—a delightful private garden, and a cozy lounge, it’s a great place to retire after a busy day of shopping or sightseeing. Another option? If you want unique-to-Amsterdam accommodations, consider staying on one of the city’s canals in a houseboat. We found some great rental options on Airbnb. It may be nicknamed Naptown, but with a stellar museum scene, an emerging culinary scene, and six vibrant and unique cultural districts as well as an eight-mile Cultural Trail that ties them together, you’ll want to do anything but sleep while visiting Indianapolis. 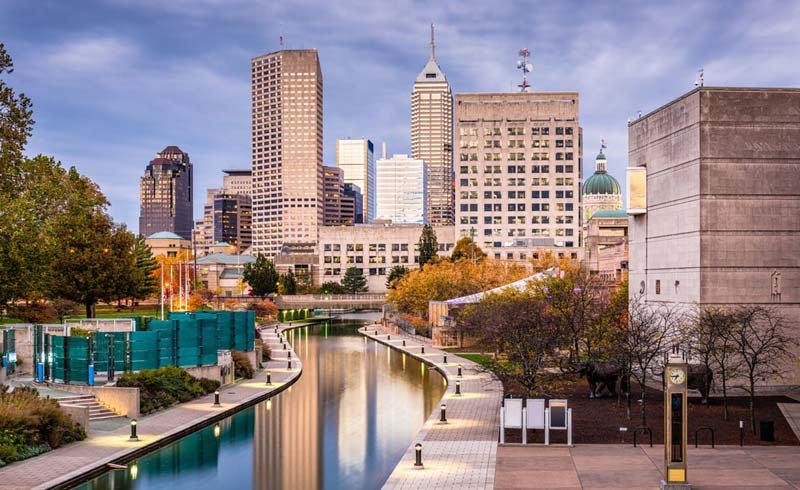 The Hoosier State’s capital is home to the world’s largest Children’s Museum, the historic Indianapolis Motor Speedway, the Holcomb Observatory and Planetarium, and the iconic 242-foot-tall Soldiers and Sailors Monument. Two of the city’s most highly-anticipated restaurants recently opened their doors, too: Beholder, chef Jon Brook’s dinner-only spot inside a renovated car garage, serves up modern, shareable American plates and features a designated Champagne table. Clink. And with its dark, Polynesian/tiki ambience, the Inferno Room, set in a former court room along the Cultural Trail in Fountain Square, is just what you need to escape the Midwestern winds. To get visitors in the holiday spirit, Winterlights at Newfields (formerly the Indianapolis Museum of Art) kicks off November 18 with a massive synchronized light show, and, on the Friday after Thanksgiving, more than 10,000 people will gather at Monument Circle to light the “largest Christmas Tree in the world.” OK, it’s not technically a tree, but 5,000 lights are draped from the Soldiers and Sailors Monument in the city’s center. One of our favorite parts about Indy? Average nightly room rates are $119 in November (as of press time). At the Crowne Plaza Hotel at Union Station, built on the site of the country’s first ever union station, you can rest your head inside an original Pullman train car on its original tracks (from $112). If you’d prefer a room with a view, consider the JW Marriott. At 33 stories and with over 1,000 guest rooms, it’s the largest hotel in Indianapolis and has itself become a staple in the city’s skyline. Plus, it’s just steps from the 250-acre White River State Park. Looking for something a bit more secluded? Due north of downtown is Broad Ripple Village and the Hotel Broad Ripple. The rustic, 13-room lodge sits on the Monon Trail, Indy’s rail-to-trail that connects downtown all the way up to the northern suburbs. If you’ve ever visited the Grand Canyon in the summer, you know that it’s CROWDED and hot. 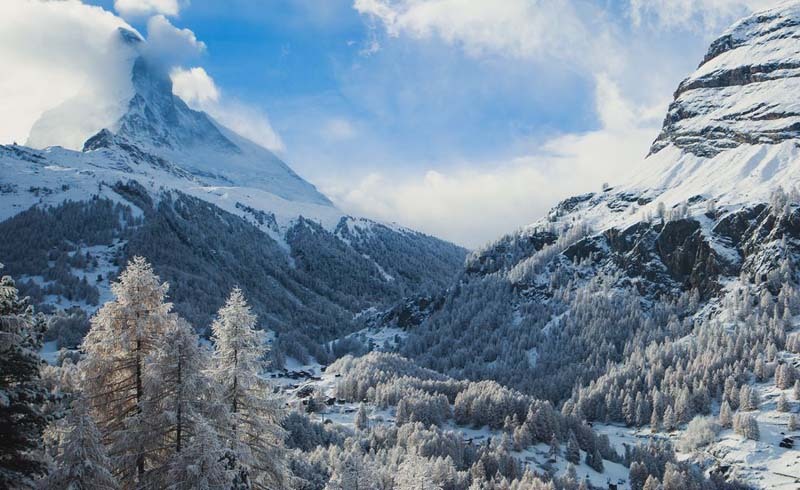 Discerning travelers know a better time to take in its splendor is during one of the two shoulder seasons, and in November, daytime temperatures are cool and the crowds are thin. You’ll find deals (and better availability) on lodging near the park and on hotels and airfare into Las Vegas. Pro tip: Make Vegas your home base and rent a car at Hertz to drive the 2.5 hours to Grand Canyon Skywalk or approximately 5 hours to the popular South Rim—arguably the best spot for views. 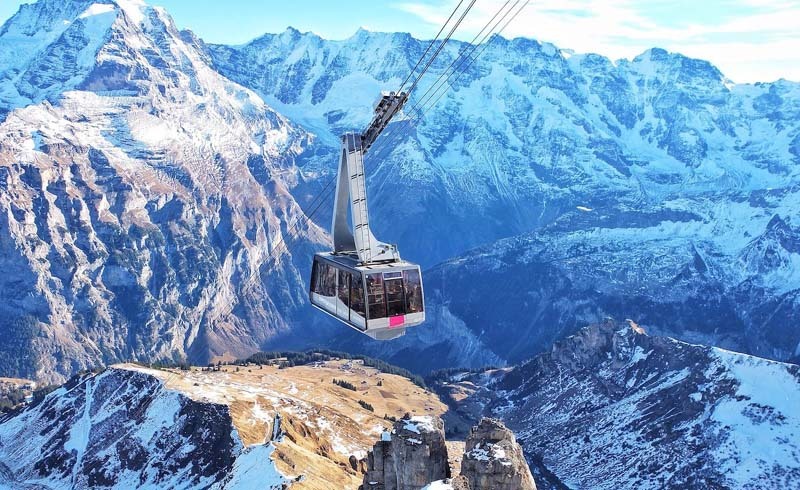 There are coach tours that will take you to and from the canyon in one day. Helicopter tours from The Strip to the Canyon are also an option, especially if want to save time and play the slots. In Vegas, we love The ARIA. Right on The Strip, next to the Bellagio and the Cosmopolitan, its location is ideal. The resort and casino are sleek and contemporary with modern rooms, a roomy lobby, and a spacious pool complex. Plus, there are plenty of dining and nightlife options nearby. 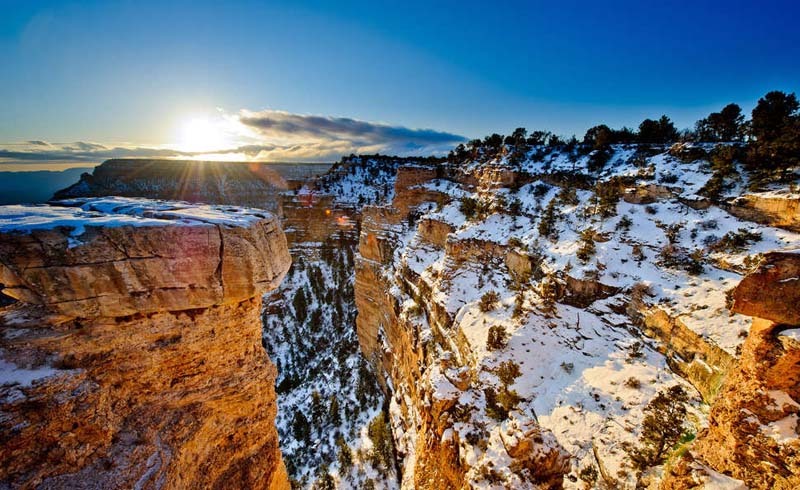 For accommodations close to Grand Canyon National Park, the Yavapai Lodge is your best bet near the South Rim and the Hualapai Lodge in Peach Springs, along historic Route 66 on the Hualapai Reservation, is close to the Skywalk. The winter season, which lasts from November to February, is the best time to visit Myanmar. November is ideal because temps drop (average 84 degrees), rainfall considerably decreases, and the number of tourists starts to increase gradually. The ancient city of Bagan, home to the largest collection of Buddhist temples and stupas in the world—more than 2,500—is like no place you’ve ever been. With monuments built between the 10th and 14th centuries, the entire city is an archaeological site. 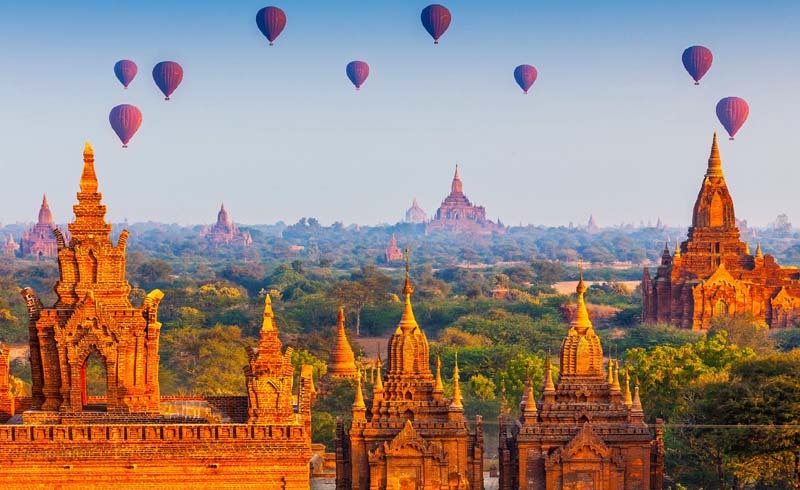 You can explore amongst the ruins, go inside some of Bagan’s many temples, climb atop certain religious structures to watch the sunset, or tour the 26-mile zone via hot air balloon at sunrise. November is also one of the most festive months in this Southeast Asian country: A number of colorful celebrations are held to mark the end of the rainy season and Buddhist Lent. In Bagan, the Shwezigon Pagoda holds its temple festival around the full moon (November 19 through 30). If you’ve made the trip to Myanmar (we found flights roundtrip from the U.S. to Yangon from $515), another festival that’s a must is the spectacular Hot Air Balloon Festival and Festival of Lights (Novevem 17 through 22) in Taunggyi, Shan State, about 160 miles southeast of Mandalay. The Hotel at Tharabar Gate, on a leafy estate overlooking temples and pagodas, is just a few miles from the Shwezigon Pagoda and its large garden villas start at $245 a night, which is a steal when you consider how posh the property truly is. Both the Bagan Thiripyitsaya Sanctuary Resort and the Aye Yar River View Resort are four-star hotels on the Ayeyarwady River in Old Bagan, making them ideal locations for sightseeing in the archaeological zone. With rooms from $90 to $105 a night, it’s definitely luxe for less…but if you’re looking for accommodations that are even easier on the wallet, consider staying in New Bagan. The Hotel Yadnarbon Bagan is a three-star that gets high marks from visitors and has rooms starting at just $25 a night.